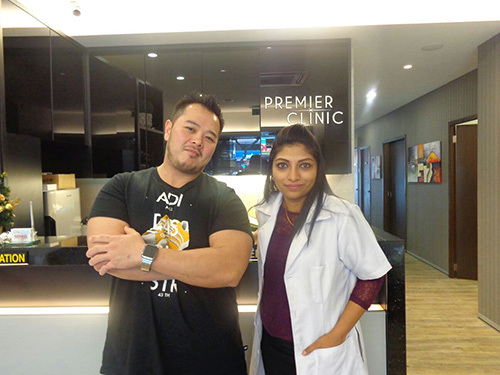 Don of Dan and Don Danjiplus Duo is back to Premier Clinic Kuala Lumpur for his second session of Zeltiq CoolSculpting cryo lipolysis fat removal. Zeltiq CoolSculpting is a high tech procedure designed to target unwanted fat. Fat removal can be carried out safely and effectively without harmful or inconvenient side effects such as bleeding, scarring, infections and downtime. Don had his photos and abdominal measurements taken before the 1 hour per side procedure commences. A handpiece or applicator is placed on Don’s love handles before the cooling treatment starts. 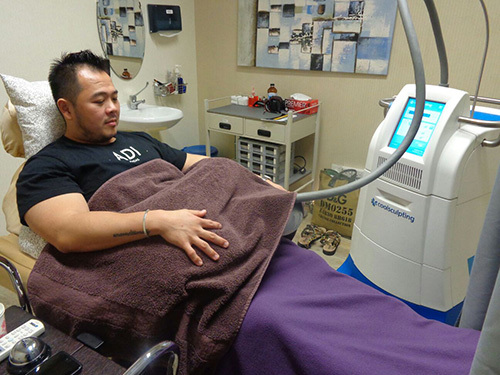 The Zeltiq CoolSculpting machine brings down the treated area temperature to 5 degrees Celsius, which injures unwanted fat cells. After 3 to 4 months, a visible reduction in the amount of fat is achieved. The slimming effect is permanent as long as one maintains his or her weight. We value your privacy and would never share your information. (same row as 7-Eleven and opposite Maju Cemerlang). How Can I Tell If a Beauty Procedure is Right For Me?